Instagram is the 3rd most popular social media site in the world; as such, it is an indispensable platform for any digital advertising strategy. Even though Instagram Ads is actually run through Facebook Ads, it’s often necessary to distinguish between the two in order to determine the performance of each platform individually. By creating an Instagram Ads report, it’s easy to see how all your ads are performing over time, as well as in comparison to your ads on other platforms. Create your Instagram Ads dashboard today! This historic widget shows the amount of social engagement your Instagram Ads receive, including likes and comments. This list widget shows how many clicks each Instagram Ads campaign received. 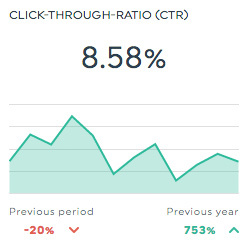 This historic widget shows the percentage of people who go to your website after seeing your Instagram Ads. This historic widget shows the total number of times that your Instagram Ads were shown to your target audience. Want to see all our Instagram Ads preset widgets? This is the total number of times users clicked on your ads. This is the total dollar value associated to all conversions. The value per conversion is determined by you when you define your conversion; this is the dollar amount that you consider each conversion is worth to you. This is the total spending required to reach 1000 people. 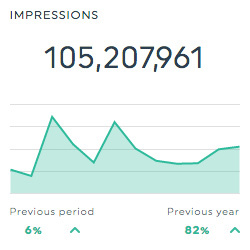 It is calculated by dividing the total ad cost by the total ad impressions, and multiplying the result by 1000. This is the average number of times each user saw your ads. Called return on ad spend, this is the percentage of revenue generated for every dollar spent. It is calculated by dividing the total conversion value by the total spent, and multiplying the result by 100. This is the total number of unique users who saw your ads at least once. This dimension allows you to isolate your data based on the name of the ads. This dimension allows you to isolate your data based on the type of conversion. Want to see all our Instagram Ads metrics, segments, & dimensions? 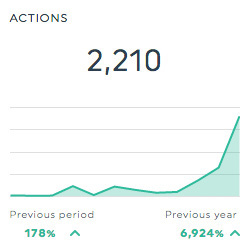 How do I create an Instagram Ads dashboard report?